Moses Chan (陳豪) and Aimee Chan (陳茵媺) promoted their new TVB drama, The Last Steep Ascent <天梯>, which will be airing on September 17 in Hong Kong. The series dramatizes one of the most moving love stories to have emerged from China in recent years, in which a man hand-carved 6,000 steps in the mountainside to allow his wife to walk through the steep terrain with greater ease. Producer Lee Tim Shing (李添勝) wished that Maggie was able to attend the promotional event for The Last Steep Ascent. Since she is now partnering with CTI, this obviously posed as an awkward situation. Absent at the function was also cast member, Joel Chan (陳山聰). He had reportedly forsaken his TVB career in order to spend more time dating casino tycoon, Stanley Ho’s (何鴻燊) daughter, Florinda Ho (何超雲). Last year, Joel had taken a long leave of absence from TVB after dating Florinda. Tim Gor revealed that he did not notify Joel of The Last Steep Ascent’s promotional event and was uncertain whether he will continue acting. How would that be since she is probably contractually obliged to turn up for promotion? Of course TVB management won’t want Maggie to promote the series. It doesn’t matter if Maggie is willing or not. Why would TVB want to use Maggie for promotions when she’s working for the opposition? If you were TVB would you risk having her say something bad about TVB at their own event? If anything, TVB probably doesn’t want to give CTI anymore publicity. Obviously reporters will ask Maggie about CTI if she were to appear for promotions. Contractually speaking, she is obligated to promote, that goes with artist in any country or any type of studio/company. TVB just happens to be a company that takes everything very personally. It’s a business for God’s sake. They were not able to offer Maggie the best deal during negotiation so she went with another company. She is, after all, no longer an artist who needs “noise” as she can generate her own. So if TVB can’t fork up the money to pay her then she has got to go. TVB is a bit cultish in this respect. Maggie’s departure has nothing to do with not using her for promotions. Jessica left and TVB still used her for Tiger Cubs. Problem is she’s signed to CTI. It’s her right to leave and look for better working conditions. That I agree. It’s business afterall so why would TVB use Maggie? What business person would use someone from their competitor to promote themselves? From a business perspective, sure TVB wouldn’t want someone signed to a competitor to help promote their series –that’s understandable. But the part that gets frustrating is when TVB makes assumptions about an artist signing to a rival company (most likely due to Media reports, which aren’t always accurate) and automatically ‘drops’ the artist without bothering to seek clarification. I’m not saying that’s what happened to Maggie in this case (since she did confirm publicly that she signed a per series contract with CTI), but it happens often enough that it makes TVB look petty and intolerant of others. maggie cheung i like her the most in “the king of yesterday and tomorrow” as lui sei leung. kwong wah as the king is really hilarious. its one of the best serie from tvb in those days. It could be tvb’s warning to their employees and consequences of leaving tvb. Tvb isn’t keen on their artists signing up with other stations and they would treat you as if you are dead. Somehow this storyline reminds me of Rosy Buisness the first one. Looks really similiar to Bottled Passion!! So excited!! Thumps up for Maggie, she looks ‘hot’ in this drama and Edwin is ‘the one’! He’s a promising rising star. So, now they have amiee promoting the show like she’s the lead…..ewww. She’s so lucky she hooked up w/Moses…because I can’t imagine casting her in anything. Agree, she can’t act and she’s rather ugly. Even with all that plastic surgery and thick make up. I agree with u Nathan. I really dislike her more and more. So fake! Seriously TVB is lacking good actresses! Surgery too….really??? I do miss Maggie…hopefully, she made the right choice by leaving. I wish her well. Agree. Her acting isn’t really good. When she replaced Charmaine in Forensic heroes, i partically cried. She’s horrible, and Charmaine’s role should be her’s if it weren’t for that…..
What a joke! Its the very first time I have heard that Charmaine acts better than Maggie does. Maggie replaced Charmaine because the latter was injured. Maggie was a last minute replacement and had the script altered to tailor her personality. Both Maggie and Charmaine are good. They are good in their own ways. Maybe u should refer back to the time of “war and beauty” for the discussion. Although Maggie was quite good in it, her “On sin” was probably the least prominent of the 4 ladies. When I watched WAB in 2004, I liked On Sin and Yue Fei the most. The reason for which Maggie’s role was the least to be talked about was that she couldn’t manage to show up at promotional events due to her filming her mainland series “To Live to Love”. Actually, On Sin was somehow the main character of the show; she brought dramatic changes to the story. I still don’t know why so many people, after watching WAB, underrated Maggie’s On Sin. As an actress, Maggie and Sheren were comparable. Gigi and Charmaine? I would say Charmaine was better than the former, not Maggie and Sheren. Bryantchang: this won’t be the first time you will hear that Charmaine acts better than Maggie. It’s a matter of opinion. Don’t act like YOUR opinion is the truth otherwise you’re the joke! LOL…well, wait until you see the cover of this week’s edition of TVB Weekly Magazine. If you were just to look at the cover, you would think Aimee is the lead instead of Maggie! The sad thing is, the whole storyline involving Aimee isn’t even part of the real ‘Ladder of Love’ story — that part was completely made up by the scriptwriters to make the series more ‘dramatic’. This is the cover. Aimee at the middle like the lead actress! LOL anyone feel like vomiting now? TVB is very unprofessional, trying to erase the real lady and make it look like another. Very very unprofesional! Quite someone, anyone, SHOVE TVB to the door!! She looks better in that cover because it’s photoshopped. Her face is slimmer and her eyes are slightly bigger. Maggie is totally neglected in the cover as if she wasn’t in the series at all. From the list given, find the ‘odd’ one! ROFL easy right? Vomit. That means dating and praised by Moses 24/7 can get her to the other four’s position? I thought Kate was the odd one out since she is not dating anyone influential in TVB? Who knew Moses is THAT influential eh? Interesting. Maybe to TVB, Aimee is first line already although audience may not think the same. Same here Funn, I didn’t know dating Moses can have this much influence. agree as Aimee acting is sometimes over exaggerated and she has no clue , a lot of work needs to be done and she really looks odd with Moses who’s look is so old. Moses and Maggie the Great, let’s see how the sparks fly! Maggie Cheung is a good actress. It is a shame that TVB did not ask her to do the promotion of ““The Last Steep Ascent” just because she signed up with CTI. I can’t tell there is a 10-year difference in age between Maggie and Moses in the “Trailer”. They look very close in age in this drama series. eh, Maggie is a pretty strong actor so wherever she goes, as long as the storyline is decent or better, you’ll shine. I liked her performance in 長恨歌 very much, and of course that is a great storyline so hopefully her CTI work will be just as good. The casting is wrong. Either find a older looking actress for Maggie’s role or younger looking actor for Moses’ role. Agreed. Miscast! Moses too old. Where are the LFs and Boscos? If they are too busy it can be time to try new leads like Oscar or Vincent or Himhim! Moses look older than Maggie ROFL. The audience doesn’t want to see an actress older than Maggie so they should’ve found a younger man. I think Kenneth would’ve been a good choice. He looks younger than her but still believable as a matching couple. Plus he can play lovesick puppy dog eyes like nobody’s business! This promotion become AimeeMo promo? Puke! It’s called “The Last Steep Ascent” now? I’m undecided on whether to watch this one… The real life love story is very touching and Lee Tim Shing series have that “feel”, but at the same time it looks like the writers are just going to shove the usual TVB tropes like family inheritance battle into the story. I guess the fact that this series is based on a real life story will prevent LTS from pulling a last-gasp bad ending? Let me predict how it will begin. With the present where some group stumbled on old couple at the steep carved stairs and someone narrates the story. We see probably 15 minutes of this epilogue? Let me predict how it will end. It will end with how they ran away to this cave place, we won’t see how they adapt except maybe Moses carving the steps and zoom to modern times. TVB can choose to end with moses death or maybe not. Let me predict what will be in the middle. Anything and everything but the steps, cave dwellings, etc. In short we will probably see half to 1 episode worth of the whole love story cave steps thing. Hee. That sounds right on. As this is a LTS series, I suspect there’s a good chance he’ll show Moses dying in the end. Possibly while he and Maggie watch the sunset on the mountain. @Tegan: Whether it’s based on a real life story or not doesn’t matter…LTS can still change the ending. Remember all those wuxia series that LTS was famous for in the 90s? Sure, those weren’t based on ‘true’ stories per say, but all of those were supposed to be based on Jin Yong’s novels, yet if you watch the series, alot of the storyline was changed completely (he really took alot of liberty with the script) — and it wasn’t just minor details….for example, some characters that died in the novel never die in the series and characters who never existed in the novels were ‘created’ and ‘added’ to the series to enhance the story-telling. So pretty much what i’m trying to say is…don’t bank on this series being anywhere close to the real life story…like Funn said, most likely we will only see 1-2 episodes of the ‘real thing’…the rest of it will likely be ‘made up’ by the scriptwriters / producer. True, true. Good thing you reminded me about LTS’s past series. Yeah, it’s probably likely LTS and/or the scriptwriters will ignore the original details and just tell the love story they want to tell. And LTS will probably pull the ending he wants to pull, even if it defies logic. lol whether maggie’s there or not does not matter, they have moses and aimee to flaunt their love in front of the camera. Looking forward to this series for Maggie n Edwin. I know that a lot of readers on this website don’t like Aimee Chan or her acting. As a fairly new actress of TVB, I think she has been doing a good job, especially in “Master of Play”. Hope she will act well in this new drama series, “The Last Steep Ascent”. Aimee, good luck in your acting career. Hope you will become popular because of your acting skills, not because of Moses Chan. I am sorry, it is now 2012, Aimee Chan has been acting more than 5 years already. I agree other competitors were much weaker when fighting for the most improved actress award when Aimee won, but I don’t think she is ready to be 2nd lead. Just no. Queenie Chu should get that before Aimee. One more funny thing: Aimee already bought a new BMW after three years in the industry. Other actresses get labeled gold diggers if they buy a Lexus within three years after entering the industry. I understand if Aimee comes from a wealthy background, but how come now one has ever turned that into a headline? Selena Li’s family was wealthy before and her gossip profile extends out to miles. Oh TVB, you are priceless with your promotional tactics. I really don’t get the hate for Aimee. She has improved a lot on her acting. Can’t be considered bad anymore. Why still so much hate? Because she’s dating Moses? I think many are tired of Aimee and Moses love story that keep being repeated either by Aimee, Moses or the media. I am one who feel extremely annoyed by how their sweet lovey dovey story is being harped heavily. Other thing is last year Aimee suddenly become top 5 finalist for Best Supporting for her role in TOT and that disappointed many audience who think she’s a terrible guest star in TOT. I agree with the above. Aimee Chen should not have got the top 5 finalist for Best Supporting for her role in TOT. She was only a guest star in “The Other Truth”. Yes indeed she is one of the best TVB has to offer both in terms of acting and cantonese, LOL. The newly ascended goddesses pale in comparison, hehe. Of course, the other problem is her Cantonese — I honest don’t feel it has improved much over the years….I still can barely understand a word she says most of the time, especially during emotional scenes where she has to cry and speak her dialogue at the same time (which is why I dread watching her in The Last Steep Ascent — cuz based on all character descriptions, her character is supposed to be a tragic one, which means she will have ALOT of crying scenes….since it looks like she also will have alot of screentime in the series, that means I will probably need to turn on subtitles when I watch, which I hate….). There is a lot of unfairness in TVB. An artiste definitely needs some luck, some good rumours, or some kinds of connections, to get promoted. Good acting is only a secondary factor in achieving success for an artiste. Nancy Wu is a actress with good acting, but is still acting support roles after working for TVB for 9 years. Personally I think Aimee is quite a good newbie despite the fact that she cannot read and write Chinese. Her Cantonese is quite okay, but she needs to slow down a bit in her dialogues with some pauses at the appropriate spots. Aimee-Moses dating surely helped Aimee move up faster and easier. The same happened to Bernice Liu when she was dating Moses, as well as Bosco Wong when he was dating Myolie Wu. They were TVB’s gimmicks to promote coupled artistes. Dating with Moses can only help Aimee get a jumpstart exposure, but what will gain her loyal fans and acting recognition in order to stay strong in the industry will be determined on how her acting goes from the jumpstart. Good luck Aimee. Dont hate Aimee, but for her getting leading roles when her acting is still not up to par is totally favoritism. 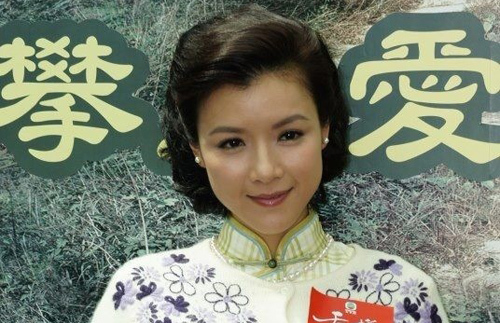 There are many better TVB actresses that have been around a long time and still dont’ have that opportunity. Yes, TVB is definitely over-promoting her to the extent that it is getting annoying. I am sure that they planted the photographer at her place when it so happened that she is feeding Moses with the window opened. LOL. It sure got her lots of media attention. Which series does Aimee has leading role? She’s leading over Yoyo in the series with Ron and Ruco, and leading over Selena in Love exceeds the coastline. http://www.flickr.com/photos/[email protected]/6925165570/in/photostream Her name is before Selena’s. Even though Yoyo and Selena’s acting is not that awesome, they are like 10x better than Aimee. And she gets nominated in all categories at TVB awards, even though she only appeared in 3 episodes in The Other Truth, like WTF, and then favorite character category in FH3??? There are SO FKING MANY characters more recognised and likeable than hers. And she sounds like an imbecile in her interviews. Lee Kwok Lun also get nominated the the Best Supporting Actor character for appearing in only a few episodes of FH3. This happen in the same year as Aimee’s nomination for Best Supporting Actress. So, Aimee’s nomination is not special treatment. @Kidd: It’s not just that Aimee got nominated for the guest star role in TOT — the fact of the matter is, she was HORRIBLE in that role! Not sure if you watched her performance in those 2-3 episodes, but she was so bad, it’s not even funny! That’s why people were pissed that she got nominated for that role. If she was only a guest star but did incredibly well, then fine — but not only was she a guest star, she was also horrible, yet she got nominated….if that’s not favoritism, I don’t know what is. Btw, can’t compare to Lee Kwok Lun — he was only a guest star in FH3, but he was excellent in his portrayal. Yes, I watch that 2-3 episodes and I don’t think she was bad let alone ‘so bad’. It was beyond horrible. GARBAGE. @Kidd: That’s fine….everyone watches series differently and the standard of acting will undoubtedly differ from one person to the next. It’s very subjective…. Kidd, are you comparing Aimee’s standard of acting to Lee Kwok Lun’s standard? If she is as good as Lee Kwok Lun.. well, maybe she can get nominated, but she’s NOWHERE NEAR HIS STANDARD!! I’m not comparing their acting. I’m comparing the point that ‘Aimee get nominated for Best Supporting Actress for appearing only in a few episodes of TOT’ which is what you guys have been complaining about. Kidd, Please note that it’s a combination of factors that make Aimee Chan the most annoying actress in TVB. Maybe Lee Kwok Lun was nominated for Best supporting actor for 3 episodes. But was he also nominated for Most Favourite Character despite not being a favourite character? Was he also pushed into our face despite his mediocre cantonese and bad acting? Was he also gushing and giggling like a loon over his romance with moses chan? NO NO NO. But all that applies to Aimee Chan. I agree Nicole. It’s a combination of factors. hahaaha its really funny how you describe “aimee” in your above statement.. was laughing so hard here. I didn’t know Raymond Wong was in this! But he will guest star in this only… =[[[ Should have replaced Moses better.. haha. Totally! I bet Raymond was the first choice for the role. He seems like he would embodies this type of role much better. Thanks for the 6,000 Steps to Paradise link. Whoa the way it was written was really good. LTS has a good material and a touching story to boot to work with, it’s up to how he can make use of this great story. However I think the story will be better and more beautiful if told as a movie.